Un levé gravimétrique régional a successivement réussi à localiser le dépôt en cuivre Las Cruces. 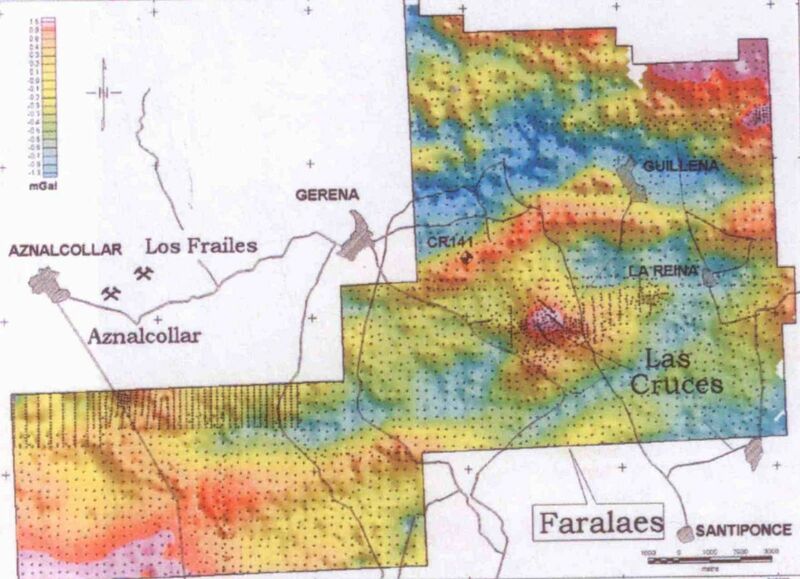 Las Cruces is one of the largest VMS deposits in the world grading on average 6.3% copper. The deposit sits beneath 100-150 metres of tertiary sediments. 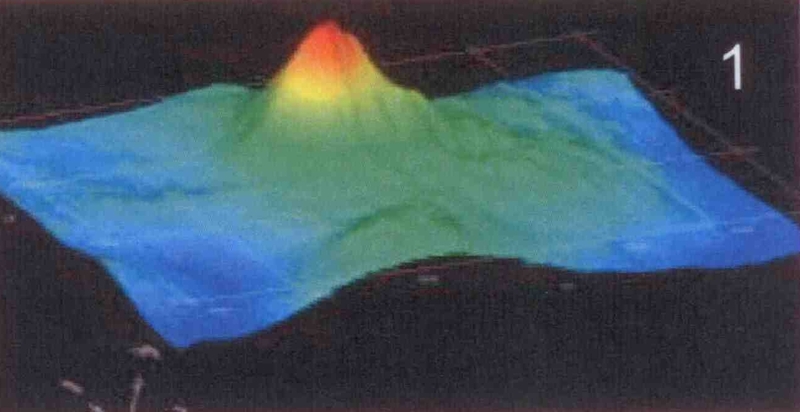 The near-by, world class Neves Corvo discovery had been made with a gravimetric survey. A subsequent, regional road gravimetric survey using a nominal station spacing of 300m was completed. The survey located a 3 mGAL isolated residual anomaly. Drilling intersected a 43 metre wide zone of secondary mineralization grading 3.8%Cu.